President Barack Obama gave a stern warning to Chinese President Xi Jinping on the eve of his state visit next week that the U.S. will consider any instance of state-sponsored industrial espionage an "act of aggression." Speaking before a meeting of business leaders in Washington, D.C., the president said he expects cybersecurity will be "one of the biggest topics" that the two discuss at the White House next week. In his remarks, Obama drew a sharp line between government intelligence gathering, which both the U.S. and China does, and government-sponsored attacks or thefts from corporate interests, which he considers aggression. "We have repeatedly said to the Chinese government that we understand how traditional intelligence gathering functions and that all states engage in it including us," he said. "What is fundamentally different is your government or its proxies engaging in industrial espionage and stealing trade secrets from a company. We consider that an act of aggression and it must stop. 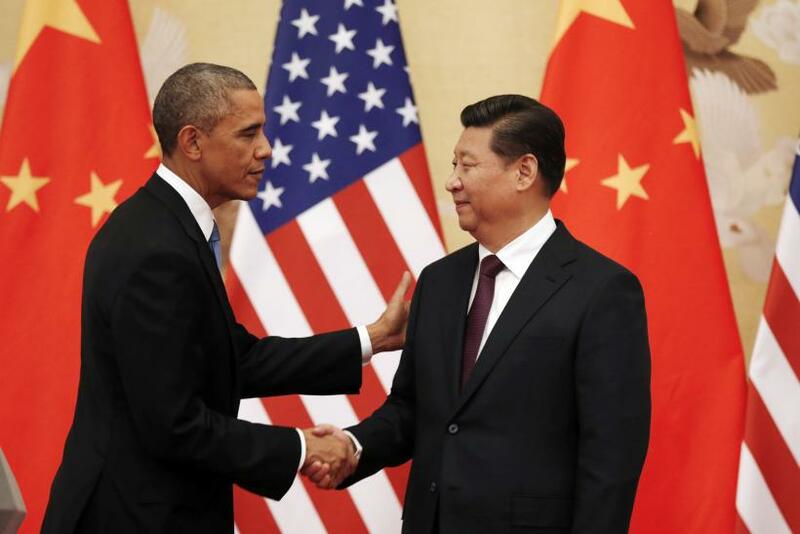 "We are preparing a number of measures that will convey to the Chinese that we are more than serious," Obama said. "My hope is it will fall short of that." The president's comments come a week before Xi's first state visit to the U.S., which begins, in a move laden with symbolism mixed with business and politics, with a meeting with tech leaders from Microsoft, Apple, IBM and many others in Seattle. The purpose of the meetings, which come before Xi travels to Washington, isn't entirely clear. U.S. tech would very much like more access to Chinese markets, where Facebook and Google are currently blocked, and China would like to avoid sanctions that could damage the wavering Chinese economy. Obama said industrial espionage should be regulated by international rules and norms, such as those governing nuclear proliferation. "Among states there has to be a framework that is analogous to what we've done with nuclear power," he said. But he warned: If China does not agree, the U.S. is prepared to defend its interests. He said the U.S. does not engage in cyberwarfare for anything other than intelligence gathering, but it could. "We are still the best at this," Obama said. "If we wanted to go on offense, a whole bunch of countries would have significant problems. But we don't want to do that because we don't want to see the Internet weaponized."